I met you at our Rocky Mountain Civil War Symposium at the Community College of Aurora in Colorado a number of years ago. I recently wrote a small article for our newsletter on the series. We don’t have many bibliophiles in the round table, but I continue to give them information about your book and other recent publications. If you would like at sometime in the future to send some of my copies to have you inscribe them for me. I could send them in a sturdy box and have you sign them, put them back in the box and seal it. I would of course send return postage. The worst part is going to the post office. I will plan on getting your future release directly from you if that continues to be possible. Good to hear from you, Don. Wow, that speech was a long time ago. I am pleased that you still remember it and me. 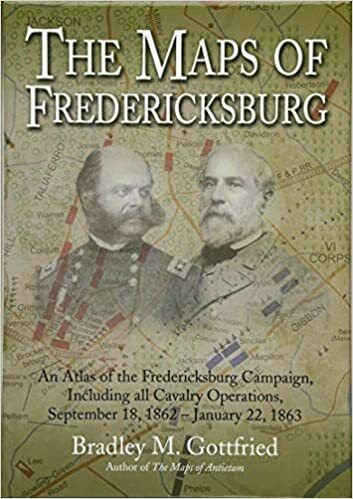 Unfortunately, the list is a bit longer than what you have listed: The Maps of the Cavalry During the Gettysburg Campaign will be out within the year and the Spotsylvania/N. Anna/Cold Harbor book is completed and is under review. I am now hard at work on the Petersburg/Appomattox Campaign volume. Yes, that will leave me with the campaigns you listed. It will be a long slog, but I hope to finish the series. Yes, I would be delighted to sign the books (or I could send a book plate). My address is: PO Box 494, Fairfield, PA 17320.